If your New Year’s resolution was to get in shape, or to lose weight, nothing is a better motivator than signing up to run a 5K. And it’s a lot more fun than going to the gym, especially if the gym has never been part of your daily routine. Running a 5K, or 3.1 miles, might seem daunting at first, but not all 5Ks are mundane, straight-line jogs down city streets lined with hordes of strangers. There are dozens of 5Ks around the US that make running fun. Whether they give you a hearty dose of local culture like New Orleans’ Jazz 5K, or are set against a surreal backdrop of hundreds of hot air balloons, there are plenty of races for you to choose from in 2019. Here are a few of the coolest 5Ks you should definitely add to your list this year. Some people listen to heavy metal while they run, and others might prefer energetic pump-up jams. 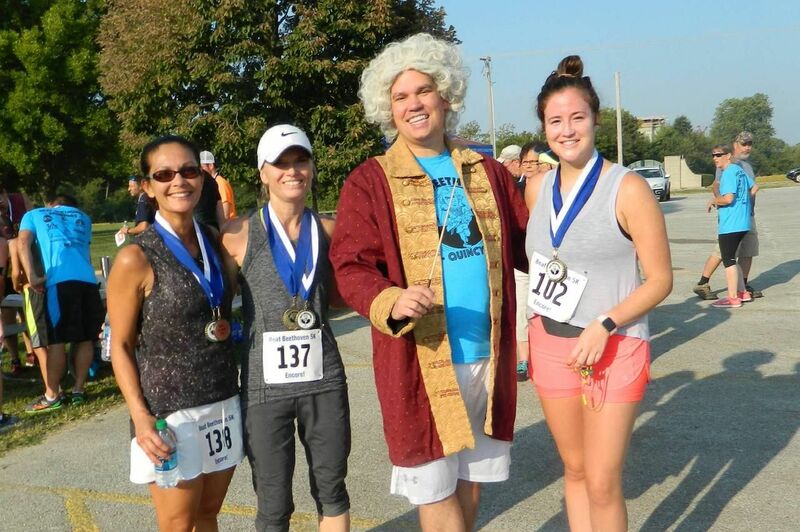 On this 5K, you’ll be listening to Beethoven’s Fifth Symphony. Maybe running solely for the sense of accomplishment is enough for you, but if it’s not, you’ll be competing against fellow runners for concert tickets as well. At the beginning of the race, Beethoven’s Fifth Symphony will start playing, and those who cross the finish line before it ends will be given free tickets to a Fairbanks Symphony Orchestra concert of your choice. Beethoven’s Fifth lasts about 31 minutes, so train accordingly. The race takes place on April 13, 2019, at 9:00 AM, with early registration costing $25. This run lets you check two items off your bucket list: finishing a 5K, and taking an epic ride in a hot-air balloon. The race features a mix of pavement, gravel, dirt, road, and grass, giving it a true cross-country feel. But the real reason to sign up is because you’ll be running through the largest summer hot-air balloon and music festival in North America, the QuickChek New Jersey Festival of Ballooning. With hundreds of hot-air balloons taking flight throughout the day, you’ll never be lacking a spectacle while you’re running and looking up at the sky. And if you’re the top male or female finisher, you’ll get a hot-air balloon ride after the race. Ticket prices have not yet been released, but will include a full-day festival pass, free parking, and lawn seating for the concert. The race takes place on July 28, 2019. The whole point of running might be to burn off calories, but the Hot Chocolate 5K is the perfect cheat day. The course takes runners along a route that highlights Atlanta’s biggest attractions, but more importantly, sweet stations stocked with chocolate line the route. Treats will include marshmallows, chocolate chips, and M&Ms. 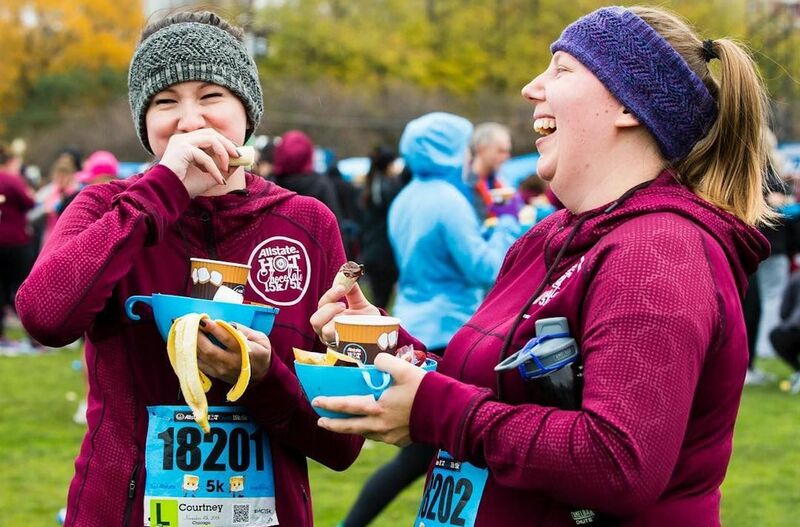 When you finish the race, there’s nothing better to supplement that runner’s high (and stave off the cold) than indulging in some hot chocolate and a myriad of other sweets that will be made available. The race takes place on February 17, so you’ll have to sign up soon. Registration for the 5K costs $54 per person, and the 10K costs $74 per person. As with any New Orleans experience, it’s no surprise that the Jazz Half Marathon & 5K is one big party. Once you finish the race, you’ll be treated to a variety of Louisiana food staples like jambalaya, red beans, and rice, and the musical stylings of New Orleans musicians. This year’s lineup includes Irma Thomas, Trombone Shorty, Kermit Ruffins, and Rockin Dopsie Jr. 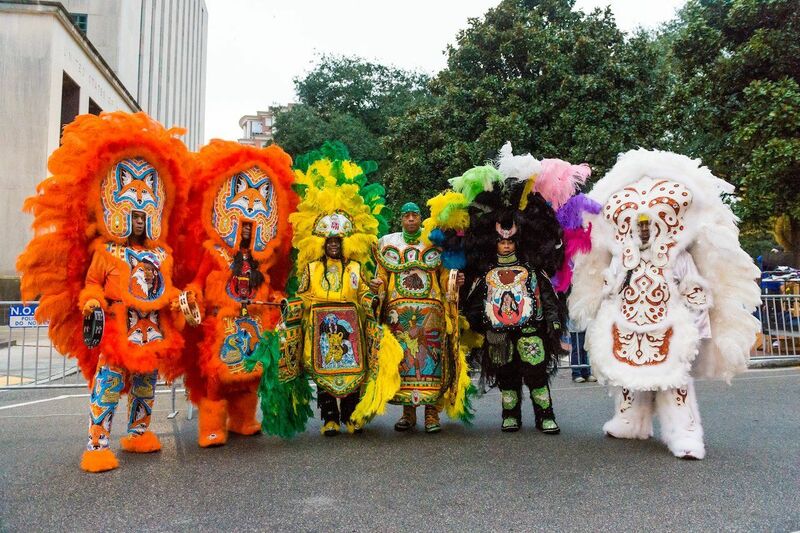 The famous Mardi Gras Indians will also be there to take photos with runners. The 5K takes place on October 26, 2019, starting in Lafayette Square, and all proceeds go toward the Children’s Hospital. Registration fees depend upon how early you sign up. It’s $30 per person if you register by August 31, $40 by October 21, and $45 on race day. Maybe a casual 5K isn’t for you. Maybe you’re already a veteran of the marathon game, and you’re looking for a new challenge. In that case, try the Warrior Dash. This course is littered with 12 obstacles that really make you earn that trip to the finish line. They include a massive climbing wall, mounds of mud, monkey bars, and even flaming piles of wood to leap over. At least when you finish, you’ll be greeted by a cold beer, a fuzzy warrior helmet, and some food fit for a hero. The race takes place on June 29, 2019, and costs $59 to enter. You can also opt to pay $39 for the one-mile option, which only has between five and eight obstacles. Distance-wise, it might look like an ordinary 5K, but there’s a twist. You’ll actually be running to the top of Rattlesnake Mountain outside Reno, Nevada, which is a trek of over 600 vertical feet. 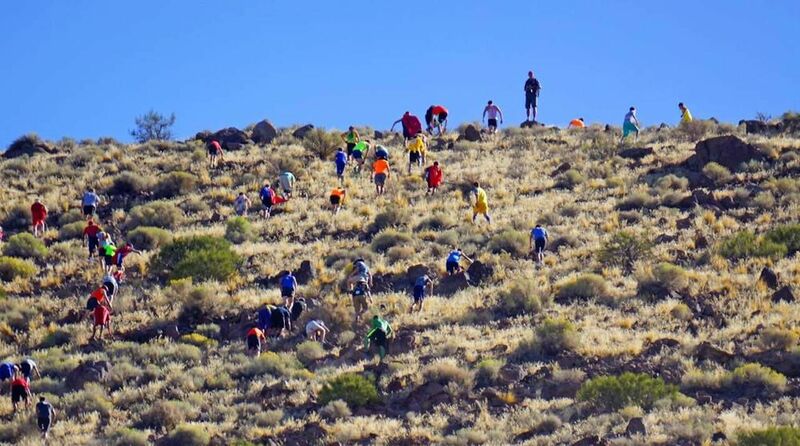 According to the race’s website, the concept began in an effort to recreate one of the world’s oldest challenge statements: “I bet you can’t beat me up that hill.” What makes this race unique is that, at first, there is no defined course route. Runners simply try to make it up the hill as fast as they can. From the top, they’ll take in the sweeping views of Reno, before descending a fire access road down the mountain’s backside, and then doing a mile loop inside the park. The race will take place in September 2019 (a specific date has yet to be announced), and though tickets are not yet on sale, expect them to run about $40 per person. It would be pretty easy to argue that we saved the best for last. The only thing more gratifying than crossing a finish line is crossing it with your canine companion. Somerville’s Fast and the Furriest 5K encourages runners to bring their dogs for an afternoon of communal canine fun. Organizers anticipate over 2,000 humans and dogs to show up for the event, meaning you don’t even have to be a runner to have a fun, dog-filled day. The run takes place on May 19 at DCR Baxter Park in Assembly Row. Registration costs $45 per person, with all the proceeds going toward helping animals in need through the MSPCA. The goal is to raise at least $250,000 this year.